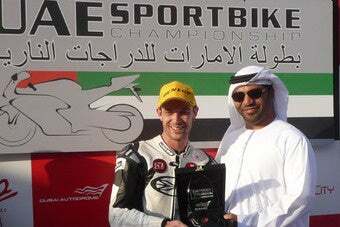 Motorcycle-racing champion Pascal Grosjean of Switzerland had just won a race in the Dubai Autodrome when, during his warm-down lap, he was hit from behind by the third-place rider who tried to brake from an estimated 125 mph pre-collision. He was airlifted to the hospital, where he died. In October, American swimmer Fran Crippen died during an open-water event in Dubai. The investigation into his death is ongoing.